Connected Systems is a full service electrical contractor serving Southeastern, CT and Suffolk County, NY. We are located in Old Lyme, CT and provide 24 hour Customer Service. Our wide range of electrical services include residential, commercial, industrial, and marine wiring. Owner and President Jason Zelek has always believed to be successful, an electrical contractor must have a solid understanding of low voltage cabling systems, basic networking, and control wiring. At anytime, you can find one of our technicians installing voice and data network cabling, servicing a commercial fire alarm, configuring an IP surveillance camera, performing scheduled generator maintenance, or commissioning a security system for a new residence. All of our technicians have worked together for many years and possess the skills necessary to support our wide range of services. You will be instantly impressed by their neat appearance, excellent workmanship, cleanliness, and attention to detail. As a result, Connected Systems has long standing relationships with its Customers. We would appreciate the opportunity to add you to our list of satisfied Customers. Connected Systems is fully licensed and insured. Our installations comply with all applicable state and local codes. Safety is a top priority. 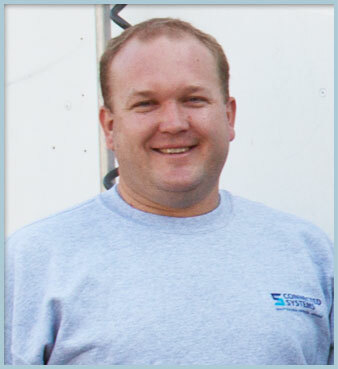 Jason is a second generation electrical contractor & SouthEastern Connecticut native. His Family’s electrical roots began in the early 1930s, through his grandfather Raymond A. Zelek, in telecommunications. Jason maintains a variety of professional certifications in addition to be a licensed electrical contractor in Connecticut & Suffolk County, New York. A strong work ethic and the motto “Quality Before Profit” best describes Jason Zelek.